Many don't know that Bruce Lee played a key role in the Sharon Tate murder carried out by Charlie Manson's family of killers. Quentin Tarantino is going to bring that barely told story to the big screen in Once Upon a Time in Hollywood. And he's found the perfect actor to portray the kung fu legend. Mike Moh landed the coveted role. 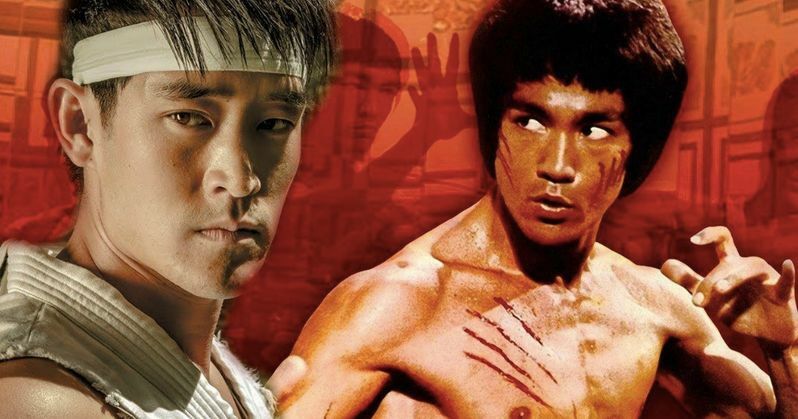 He's often paid tribute to Bruce Lee on social media, and now he'll get to embody the martial arts master. Moh was actually named as part of the cast last month when Sony officially announced the drama thriller was shooting in and around the Hollywood area. At the time, his role was not officially revealed, and many, unfamiliar with up and comer Moh, passed it off without much thought. There is a stranger story behind the murder of Sharon Tate that doesn't often make it into movies about the subject. At the time the pregnant Tate was killed alongside some of her closest friends, director Roman Polanski, who is quite controversial himself, believed that Bruce Lee had killed his wife and future child. When it was revealed a few months ago that Bruce Lee was going to be a character in the movie, many Quentin Tarantino fans were baffled. But Lee's involvement can be traced back to a pair of sunglasses. At the time the bodies were discovered in the summer of 1969, the public at large was not yet aware of Charlie Manson and his followers, who carried out these heinous crimes as a means to start a race war. Roman Polanski was training with Bruce Lee that summer, as Lee attempted to break into the movie business giving lessons on the side to earn quick cash. He also trained with Sharon Tate, offering her some pointers for the 1968 movie The Wrecking Crew. One day. Bruce told Polanski that he'd lost his sunglasses. This grabbed Polanski's attention because police had discovered a pair of sunglasses at the Tate residence. And the cops believed that these sunglasses belonged to the as yet unidentified killer. Polanski knew that Bruce Lee was one of the few people who could single handedly kill a house full of people with his barehands. But these were the thoughts of a man who wasn't quite in the right frame of mind, and as we know now, Bruce Lee had zero to do with the Tate murder. That antidote sounds exactly like a side story that would pop up in a Tarantino movie. And it's obvious from the yellow jumpsuit in Kill Bill that the director is a huge Bruce Lee fanatic. As Inglourious Basterds can attest, Tarantino is not beholden to historical accuracy, so there's no telling where he's taking all of this. SFGate were the first to break this news.